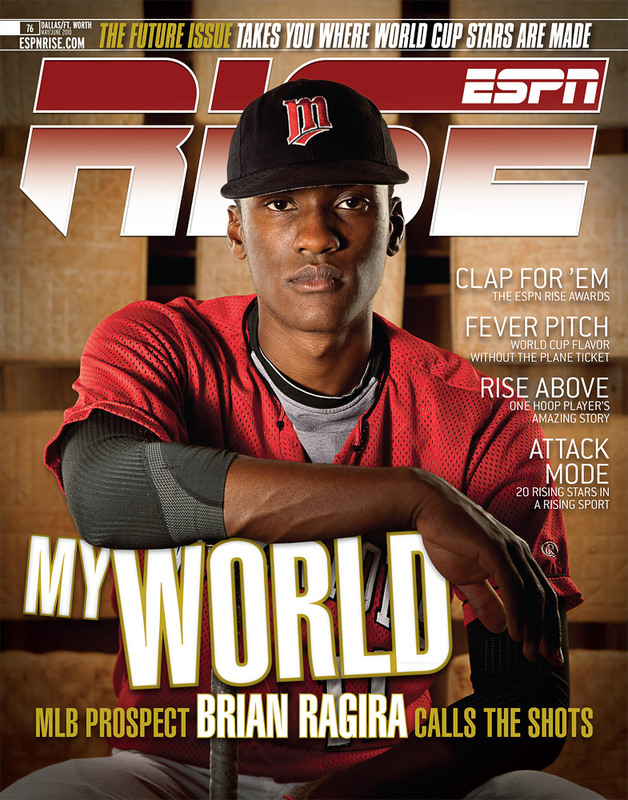 Dallas, Texas-based magazine photographer Sean Gallagher Photography photographed the May/June 2010 Cover feature for ESPN RISE’s Dallas-Fort Worth edition. See the inside spread after the jump! Posted in: Magazine Covers, News, Sean Gallagher, Sports, Uncategorized. Tags: arlington, baseball, cover, Dallas, ESPN, high school sports, magazine, magazine cover, photographer, Sean Gallagher, Sports.